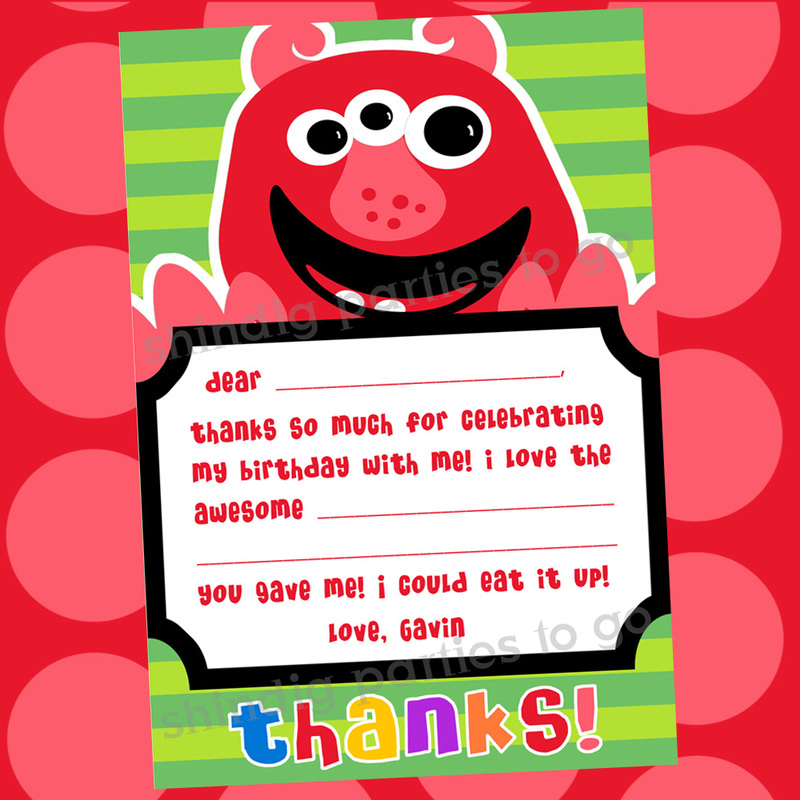 I've been looking forward to sharing this fun party with you today! Kristyn over at Lil' Luna wanted to have a MONSTER BASH for her little monster, Gavin, to celebrate his 2nd birthday. So I went to work designing a fun set of Monster Party printables and an Invitation, complete with a silly cast of characters that I truly just love! What a fun party table! 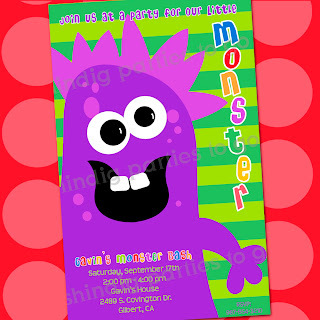 Little monsters and bright colors everywhere! 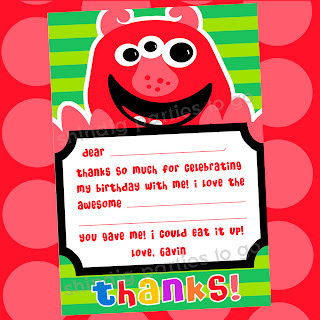 Kristyn collaborated with a few party girls in the business to make Gavin's party even more special. Brittany from Edible Details made the ADORABLE monster eyeballs and mouth on that awesome monster cake, and that's not all.... just look at those amazing fondant toppers she created to match the Monster party printables characters in the photos below. She simply stuns me with her little creations. When I first saw the 3D characters, it was like my designs had come to life! I love the party hats Kristyn made for each of the kids out of scrapbook paper, some ruffled crepe paper and the Monster party printables eyes and mouth cut outs. Super silly! Each of the guests was given his own little felt monster that Kristyn made from a kit by Freckles Crafts. Isn't googley eyed frame a fun idea! Kristyn made it in just a few minutes by gluing craft store eyes to a frame she already had on hand. Crafts and games are a must have at any children's party. Kristyn made sure the kids were occupied and having fun by making a "Monster Factory" table where the kids made their own monsters out of monster parts and a solid color paper bag. To make it simpler for the kids, she had the monster parts (from the Monster party printables) already cut out and ready for the kids to glue on with glue sticks. And isn't this idea fun! Kristyn used a new line of Martha Stewart paints from Plaid to create a Monster Bean Bag toss game. So cute! And best of all, it made for a great photo prop, too! What a great find the monster pinata from Target was! Super easy and quick and the kids always love a pinata. 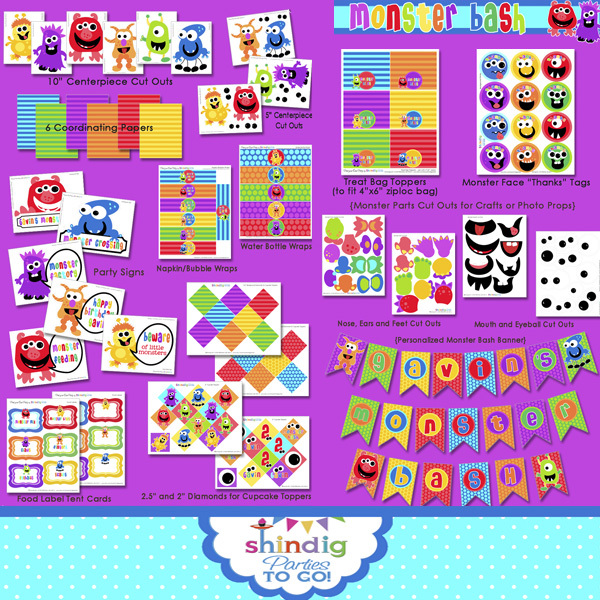 And the Pin the Eye on the Monster game that Kristyn shared a TUTORIAL for earlier this month, was a real hit, too! Great job, girl! It looks like the kids had a fabulous time! Where were these ideas a year ago!?! Last year my son wanted a monster party and I couldn't find anything! Now look at all the cuteness!! oh my, someone went all our for a party. I can't let me boys see this, they would LOVE it, great work! Oh my goodness! Everything about this is so cute! I love the felt monsters all the kids got! I love the eye ball cupcakes. They are too cute! Oh my gosh - what a fun party! Great ideas... so fun and adorable! I'm pinning this. My little guy's 2nd birthday is just a little more than a month away! Love this party! Very cute! Everything about this party is adorable. 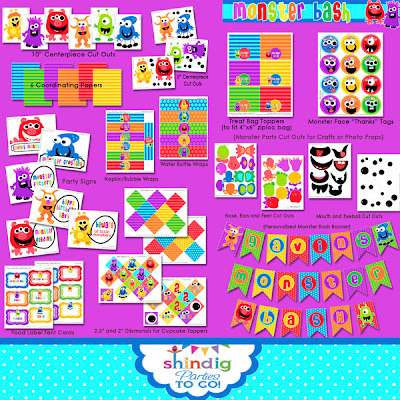 I love the printables, the fondant monsters, the crafts...it is just an awesome party. My kid's love Halloween parties, so we used to organize it twice a year. This time we have reserved best halloween party nyc venue for the party. I hope to enjoy the day to the fullest.